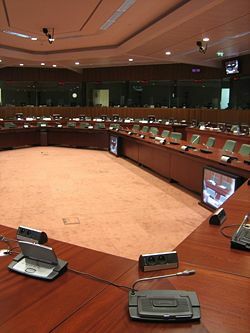 The Council of Ministers is the executive of the European Union and consists of one minister from each of the 27 EU Member States. The Council will take different forms according to the subject under discussion such as agriculture, foreign ministers, justice and home affairs and so on in nine configurations. 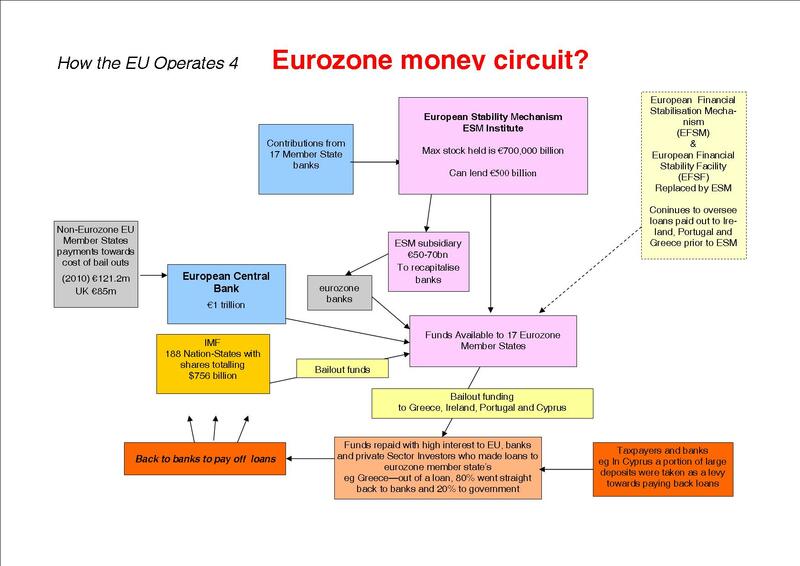 * The finance ministers council which the Chancellor of the Exchequer attends is known as ECOFIN. When the Prime Ministers or heads of State meet it is called the European Council and known as the EU summit. These meetings, for that is what they are, now occur quarterly. Foreign ministers meet as the General Affairs and External Relations Council (GAERC). They meet to discuss general affairs or to decide upon external matters for the Common Foreign and Security Policy (CFSP), attended by the High Representative for CFSP. In practice he is the foreign minister of the EU especially if the Constitution were to be put in place but is predictably denied by all and sundry. The Councils are chaired in a six monthly rota by each of the 27 Member States in turn. Currently Portugal holds the presidency. The Council meets as often as required with the top three portfolios meeting monthly. All the Councils take decisions by one of three methods which are unanimity, simple majority or qualified majority voting (QMV). The latter method is a complicated system taking into account population size which gives the larger Member States far more votes and influence than the others. This enables the large states to push through policies and virtually block propositions from smaller states even if those get together. The veto has been all but eliminated from the voting procedure. Currently the Council of Ministers acts in an intergovernmental manner which is part of the mechanism with the European Commission which makes EU legislation in the form of regulations, directives and common policies. Most of this legislation is submitted to the Council by the Commission. This legislation overrides national legislation, governments and parliaments. 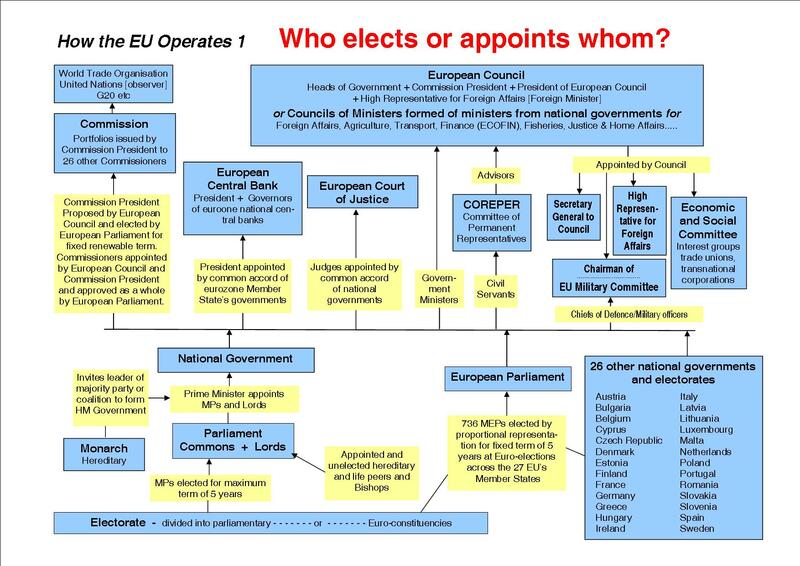 If the Constitution were put in place this executive would be the de facto government of the EU State where ministers would be taking decisions on behalf of this state and not on behalf of their national government or country. The Councils meet in secret and form part of what is called the 'democratic deficit'. The legislation is routed via the European Parliament which can express a view on these laws in a co-decision process but in the long run cannot block them. The Parliament does not initiate legislation. * The nine Councils of Ministers which show the breadth of EU law making are: GAERC; ECOFIN; Agriculture and Fisheries; Justice and Home Affairs (JHA); Employment; Social Policy; Health and Consumer Affairs (EPSCO); Competitiveness; Transport, Telecommunications and Energy; Environment; Education, Youth and Culture (EYC).